The Chinese market is no doubt a pot of gold for big technology giants with over 700 million internet users, but the Chinese government heavily controls the Internet within its borders through its Golden Shield project – the Great Firewall of China. The Great Firewall has blocked some 171 out of the world's leading websites, including Google, Facebook, Instagram, Twitter, Tumblr, Dropbox, and The Pirate Bay in the country. But tech giants like Facebook and Google always try alternative ways to infiltrate the market. Now it seems like Facebook is trying to secretly enter the largest populous market by releasing an all new social networking app in China that does not carry its brand. Dubbed Colorful Balloons, the photo-sharing app appears to mimic the look and feel of Facebook's Moments, an app that allows its users to share photos with their friends and family members. 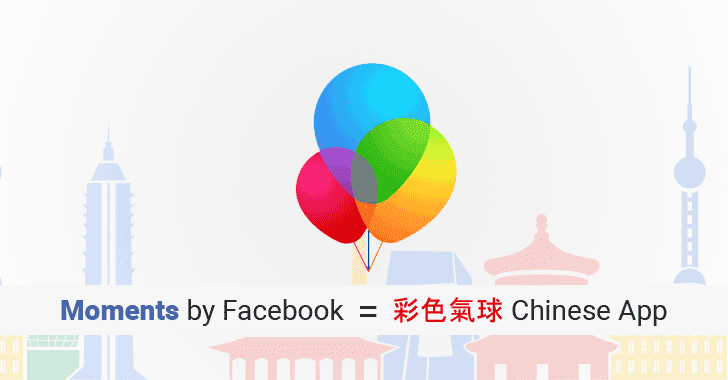 According to The New York Times, Facebook approved the release of Colorful Balloons back in May and released it through a Chinese company called Youge Internet Technology, without any affiliation with the social networking company. China banned Facebook in July 2009, its photo-sharing app Instagram in 2014 and even partially blocked the largest instant messaging platform WhatsApp in July. Since then Facebook CEO Mark Zuckerberg trying to break into the world's biggest online market. Zuckerberg has made a number of visits to China in recent years to re-enter in the market, meeting with Chinese government officials and reportedly working on a censorship tool for the country to help it suppress posts from appearing in a particular geographic area. Colorful Balloons now gives the social networking company a way to get an idea on how Chinese users digitally share information with their families and friends or interact with their favourite social media platforms. Unlike the Moments app which connects users through Facebook, the Colorful Balloons app links users through China's biggest social network, WeChat. 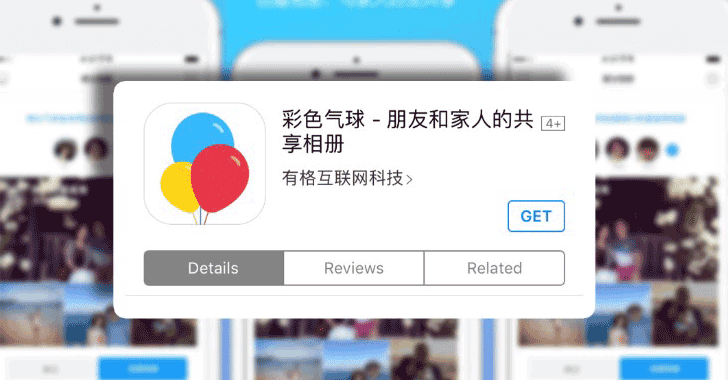 Like Moments, Colorful Balloons has been designed to collate photographs from your smartphone's photo albums and then share them, but in China, it does so with the use of a QR code used by WeChat. Since the app is currently not widely distributed in the country, it is not clear if the Chinese government is aware of this Facebook's efforts. The Cyberspace Administration of China did not respond to a request for comment from the NYT. In response to this news, Facebook said it's "spending time understanding and learning more about the country in different ways. Our focus right now is on helping Chinese businesses and developers expand to new markets outside China by using our ad platform." The Chinese government is likely already reviewing the app in question, which could end up disappearing if the government find anything suspicious.